Welcome to your December SHIFT-IT e-Zine. Well 2007 is winding down. Here on my little island on the west coast of Canada, we had a smattering of snow last week just to remind us that it’s the winter season. Thankfully the snow only lasted a few hours as it was swept away in the rains of a ‘pineapple express’ (subtropical jet spring that brings warm, moist air up the Pacific Ocean from Hawaii). Not a big fan of the white fluffy stuff, that is why I intentional live here in the mildest place in Canada – and am SO looking forward to my vacation next month to sunny Mexico. 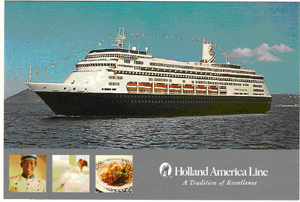 I’m all booked to go on an Abraham-Hicks cruise to the Mexican Riviera, on Holland America Line. Love it, love it, love it … can hardly wait! I’ve also given another Abraham-related gift to myself this holiday – a private reading with ‘Theo’. On Wednesday I’m scheduled for a call with Sheila Gillette, the trance medium who told Esther Hicks back in the early 80s that she too had the amazing ability to connect with and translate non-physical intelligence. I’ve been too darn chicken to get up on stage and publicly ask questions of Abraham, so was delighted to recently discover that Sheila is still doing private calls! I’ll be sure to write a blog post on what I experience. Abraham and Theo both basically say the same thing – that our own internal guidance system is the best compass we could ever ask for. And that our energy vibration is what attracts or repels things in our life (based off of the thoughts and feelings we habitually have). 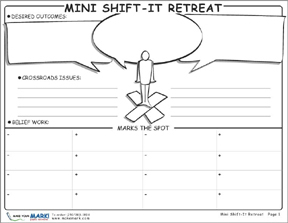 As I have found that ‘graphics’ or visual tools are one of the best ways to tap into our own internal wisdom – I’m giving my SHIFT-IT e-Zine readers a holiday treat this issue --- four special maps and an instruction booklet for you to conduct your own Mini SHIFT-IT Retreat. Great for doing during that twilight week between Christmas and New Years! p.s. Due to travel, I’m re-scheduling the holiday party to January – an expanded Law of Attraction gathering / New Years celebration. Date will be posted next issue. SHIFT-IT Int’l Tele-Group: Make 2008 ‘The Year of Your SHIFT’ – this virtual coaching group is rocket fuel to shift your life! 7 tele-calls that lead you step-by-step through the powerful SHIFT-IT Method – guaranteed to help you CLARIFY and GET what you want most! Why wait another year? Shift your life now! (NEW 90-Day) Merkley’s Mastermind (Sundays, 10:11:30am PST): You’ve asked for it, now here it is: a second level virtual coaching group for past SHIFT-IT and Meeting Graphics/Graphic Bootcamp attendees. Create right livelihood, shape your work and life as YOU like it --- accelerate your joy, prosperity and productivity. Special emphasis: creation and fun maintenance of entrepreneurial/independent lifestyle, implementing technology and internet marketing aids, and how to correctly apply and truly live The Law of Attraction. 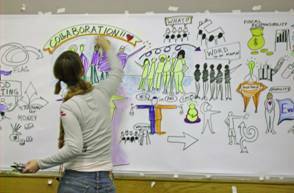 MEETING GRAPHICS 101 WORKSHOP (level 1): Introductory graphic recording and graphic facilitation skills for facilitators, consultants, trainers, coaches, managers and other process leaders and assistants. Foundational basics for the beginner. No art skills necessary. More Info. 2 spaces already taken – just 10 left. 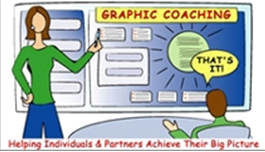 GRAPHIC BOOTCAMP (level 2): More advanced instruction and experiential practice. Offered right after MG 101 for those traveling from afar. Tons of at-the-wall drills. Demos. 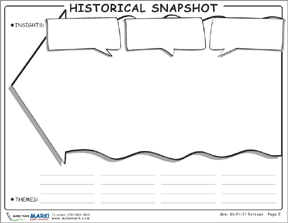 Template construction. 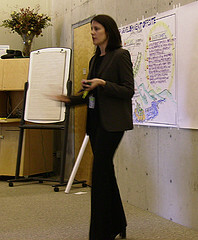 Recording and facilitation practice. Advance icon library. Plus business and sales instruction- how to effectively market the benefits of working visually. 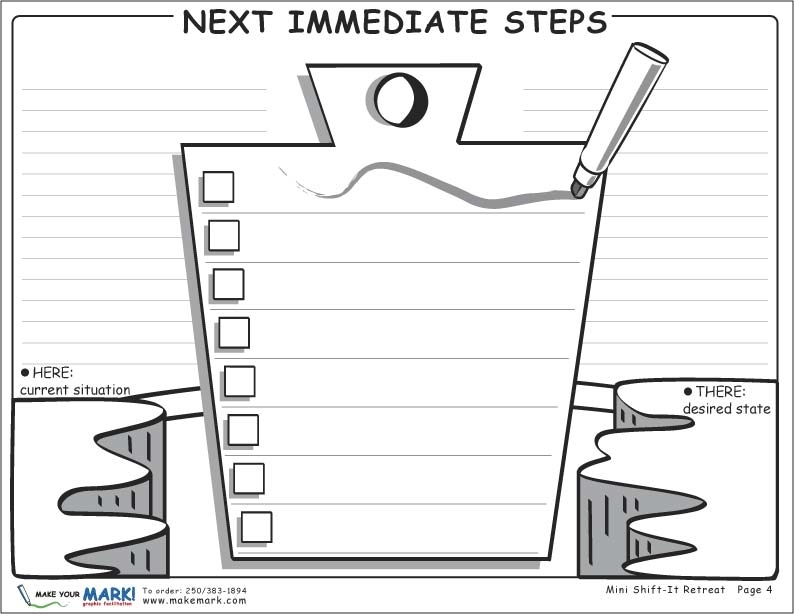 PRIVATE MENTORING & IN-HOUSE TRAININGS: One-to-one graphic recording and graphic facilitation training for yourself or for your company/group. Come to me or I come to you. new SHIFT-IT Tele-Group begins January 13th! Join like-minded people from around the globe, as you work step-by-step through the SHIFT-IT Graphic Coaching System – via 17 visual maps and the S-I Kit. This fun, effective and results-oriented coaching group is conducted entirely by phone – no travel required! Appreciate your past, make peace with your present, clarify your desired future --- bust through faulty thinking, self sabotage and limiting beliefs to GET what you REALLY, REALLY WANT (whether it be a better, more creative career, more money and prosperity, enhanced relationships --- whatever a ‘better’ life means to you!). Make 2008 the ‘Year of Your SHIFT’! Have you been thinking of coming for my skills training workshops – Meeting Graphics 101 or The Graphics Bootcamp ??? FYI: as previously noted, fees are increasing substantially on January 1st ($700 increase when taking both – as most people do). 2007 FEES ARE STILL IN EFFECT ON REGISTRATIONS MADE ON OR BEFORE DECEMBER 31ST – to save $700 now is the time to register. Two out of the twelve spots for May 21-24, 2008 are already taken. Special Payment Plan Offer: Make your payment in five installments – one a month from January-May (fully paid by the time you arrive) TO ACTIVATE: simple write ‘Christina, I want the 5 month payment plan’ across your registration sheet(s) and my assistant Erin will set you up on a convenient 5 micro-payment plan). These quick little retreats (a taste test of what I facilitate in much more depth with my own private coaching clients) help you quickly appreciate what you have accomplished (what you’ve already manifested and attracted) – as well as identify what’s next brewing on your horizon --- and the outer and inner shifts you will need to make to get there. They put your life into perspective. Giving you relief, satisfaction and an organized feeling –knowing you have taken a step to deliberately create what you want (not what you don’t want). Set aside about 90 minutes where you can be alone and relaxed. 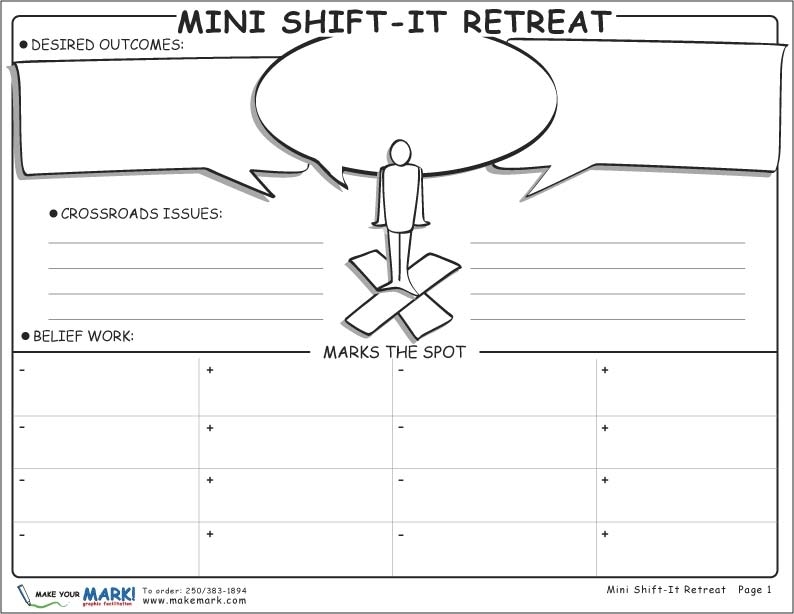 Have paper and pen handy (and print off my Mini SHIFT-IT Retreat Tools … see my gift below for some fr-ee visual tools). Relax. Put your feet up. Some good music on. Kick back. An Additional Fun Resource: Past SHIFT-IT client, Matthew Ashdown, who is now doing Law of Attraction work with youth, has created a great video called The Gratitude Dance – check it out for a fun and upbeat look at how gratitude can feel coursing through your body! : Video of The Gratitude Dance. Our wants and desires are alive and fluid and always changing. Take a moment to reflect on what you now desire. Given what you have already accomplished and where you currently are, what do you want for yourself now? As my favorite Law of Attraction teachers Jerry and Esther Hicks say “What rockets of desire have now been launched?”. What do you want the year ahead to hold for you? What do you want to manifest? What changes do you want to occur? Write out your answers. See what evolutionary nudges you are getting. List the whispers you are receiving about what is next for you. Get it down on paper! Even if it somewhat scares you because of its boldness or chutzpah! Don’t censor. Give it it’s first breathe of life by putting it in writing. Nasty companions usually follow quickly on the heels of visionary thoughts ---- as soon as our rockets of desire are launched, bazookas get pulled out to shoot them down. 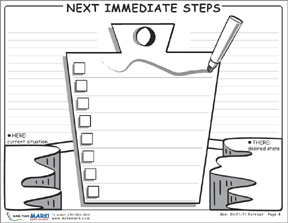 Write down your instantaneous reactions to your list of wants. Notice your instant positive reactions and welcome them. Then, notice what negative thoughts come up when you write out what you want? What contradictory thoughts do you hear – doubts, uncertainties and self sabotage? I’ve created several maps plus a detailed instruction booklet to guide you in doing the steps outlined above (my intention has been to turn these into a paid product – but since I haven’t got around to that yet, I’m sharing them with you, my loyal SHIFT-IT e-Zine readers, as a holiday gift!). You’ve been given your own unique desires and dreams to manifest – its YOUR contribution to the overall, emerging universe. Do this SHIFT-IT work to get yourself back in the proper flow of things. So you can attract all the things you need to Become Your Next Self. p.s. I’m being generous in sharing these maps and instructions with you. 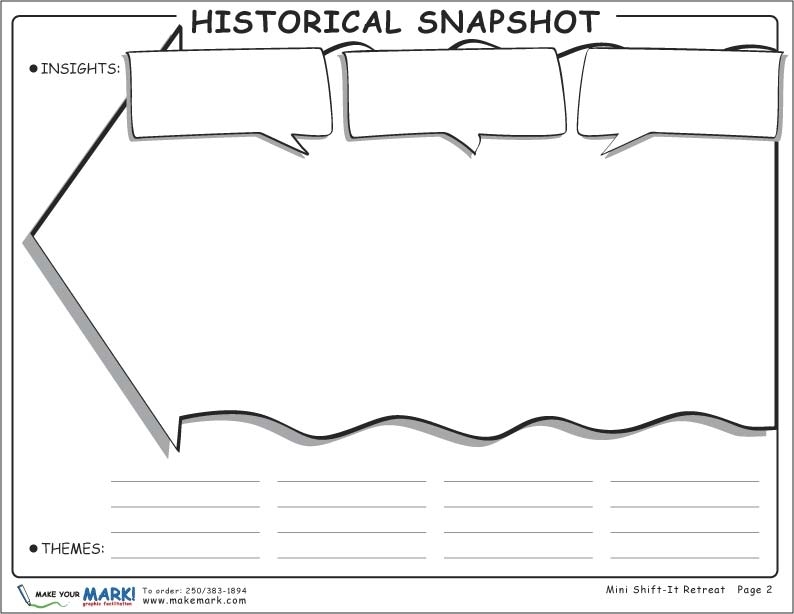 You are free to share them with friends and colleagues … I just ask that you use them for your own personal visioning and planning work (if you are a coach or consultant, please respect my intellectual property and do not use with your own client base – thank you). New Graphic Coaching Portfolio Is Up! Copyright © 2004-2006 Christina L. Merkley. All rights reserved.